Back in the good old days BC (before children) Halloween usually meant escaping the trick or treaters and going out just the two of us for a lovely relaxing meal somewhere. Nowadays the reality is slightly different, and instead of a nice meal we tramp the streets with our children, bothering people trying to have a nice evening and being nice to our frenemies, I mean, people we know. Some houses make a really huge effort with their decorating (always slightly weird when they don’t actually have children but it makes my kids happy so what the hey!) which makes me smile though usually our contribution is a lone pumpkin sitting forlornly on our front step. If you are really into Halloween, there are actually quite a few events locally to really make the most of is, here are the top five! Haunted maze, Freaky face painting, Haunted barn, Fancy dress, Lamb feeding with Farmer Dracula! Pumpkin carving & much more! Special daily activities! Normal admission prices apply. Nestled in woodland within 30 minutes of Leeds, York & Harrogate, Stockeld Park is the home of Adventures. The award winning Halloween and Christmas Adventure opens on 21st October until the 4th January, when visitors can experience our Magical Enchanted Forest, fun-filled by day, illuminated at night. Try Nordic Skiing, explore and interact in our Giant Yew Tree Maze and glide over the Real Ice Rink, against a beautiful Yorkshire countryside backdrop. Special ghoulish fun and events for the Halloween Adventure include brand NEW Wizard and Witch Training, Bewitching Tales and scary Fright Nights for the BRAVE! You won’t believe your eyes when you enter the Wizard’s Den and witness his spellbinding magic. There will be a prize for best dressed on our daily Halloween Catwalk, and don’t forget our home-grown Pumpkin Patch! Look out for the Halloween Disco on Ice! The week’s highlight is a firework Spectacular on Sunday 1st November, a wonderful display set to music. Call 01937 586 101 Web http://www.stockeldpark.co.uk. Personally I think this place is pretty expensive for what it is, but you can pay what you want depending on what activity you do. Prices start at £27 for a family. Join Dr Frankenstein and his team of weird scientists and explore just how icky and yucky the human body can be… if you dare! Book in for a 30 minute show with the mad doctor and find out how he made his latest creation. Discover some disgusting facts and delve deeper into the workings of the human body or op-in to our ‘Gross Lab’ and get hands-on and grossed out! Mix and stir and make your own slime and take a turn on our Trick or Treat game – not for the faint hearted! Lots of fun and a little mess guaranteed. Great shakes have a Halloween special. 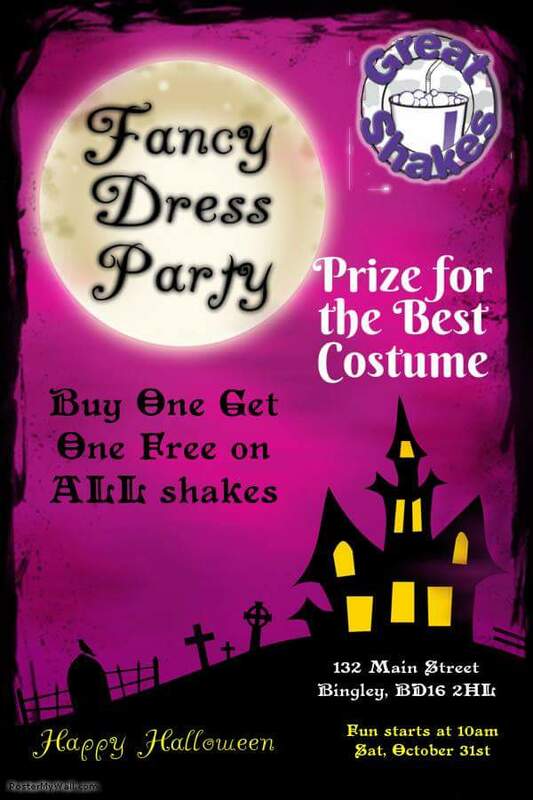 Sat 31st October from 10am – buy one get one free on all shakes! FREE face painting, competitions. Prize for the best costume. Are you brave enough to take on the Hallowe’en trail? Join us during October half term and take part in one of the Hallowe’en trails. The trails will have you hunting high and low for clues and are suitable for all ages. The Discovery Garden will be transformed into a Hallowe’en Grotto where gruesome potions and brews can be made. Normal admission charges apply. 7. Taylormade Treats in Eldwick are doing a kids Halloween afternoon tea party from 3pm on 31st, free face painting and prize for best kids and adults fancy dress. Its come to that spooky time of year again guys. 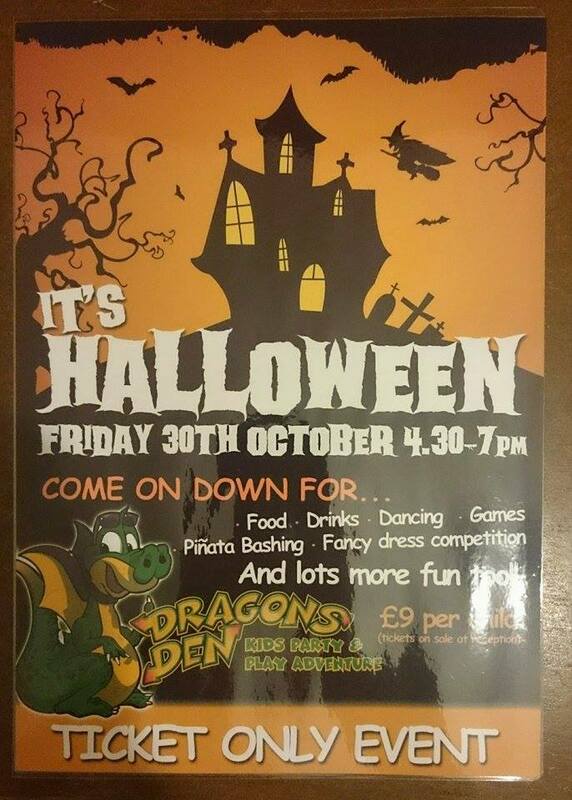 Come on down to our Halloween party on Friday 30th October from 4:30 – 7:00. Come in Fancy Dress to enter our fancy dress competition. Please note that this is a ticket only event. Tickets are just £9. This includes food, drinks, dancing, games and piñata bashing! 9. East Morton – see the flyer below. Come and join us for lots of Halloween activities including carve your own pumpkin with chefs tuition, ghostly treasure hunt, pin the fangs on the vampire, pass the pumpkin parcel, mystery spooky picnic box for kids and panini or ciabatta for adults, best dressed spook and pumpkin prize. This is a very popular event so please book early to avoid disappointment. 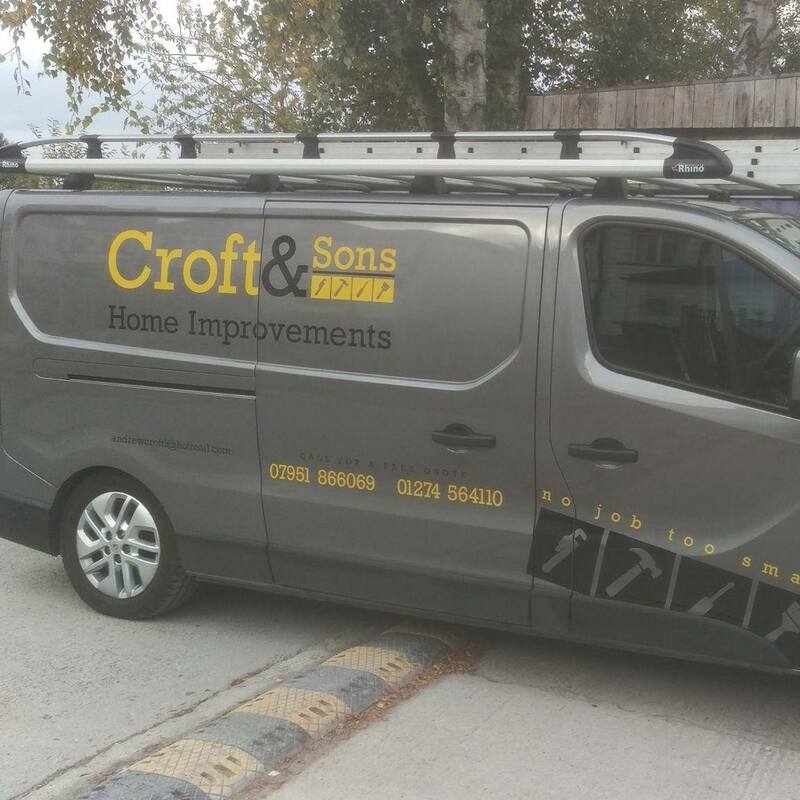 To book call 01274 562971 and press option 2. Dates : 29th October or 30th October, begins at 3:30pm. Available at the club before or on the night. 13. 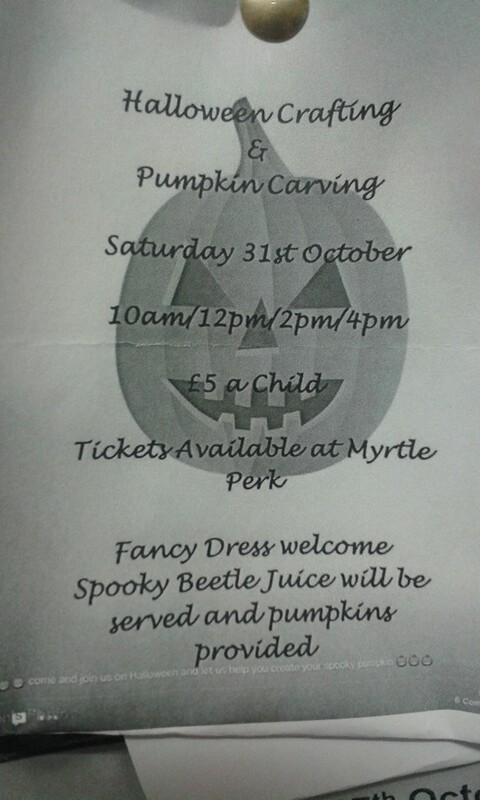 Myrtle Perk Halloween Party. 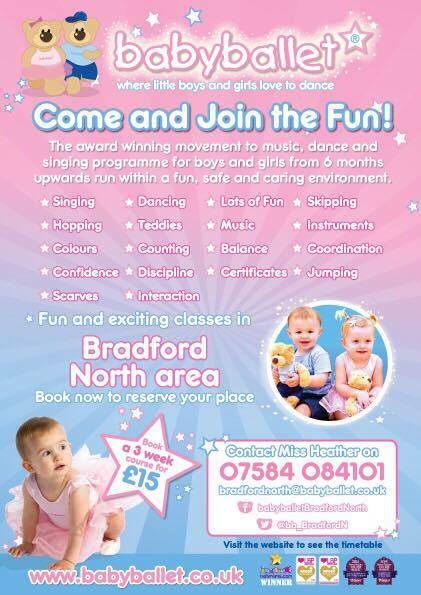 Some of the sessions are full so please book ahead by calling in. A trick or treat bag to take home. So gather your little pumpkins together and avoid the trick or treat dilemma. 15. 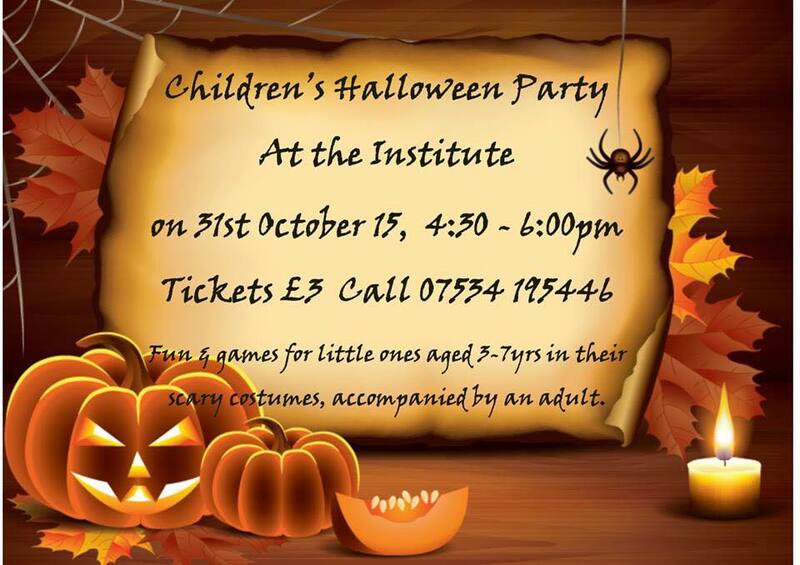 Bingley Rural Children’s Centre (Cottingley) are having a Halloween party at Baby Club on Tuesday 27th, 9:30-11:30. It’s suitable for 0-18 months and it’s only £1. Previous PostMia Bambina – Organic and Fairtrade Baby!Next PostMia Bambina Giveaway!